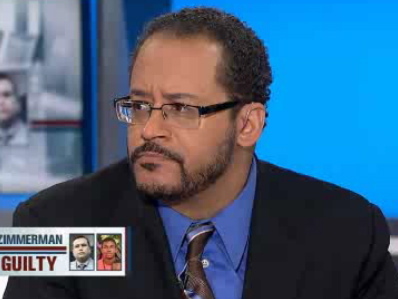 Michael Eric Dyson: "You Know How You Felt On 9/11? That's How We Feel About Race"
MICHAEL ERIC DYSON: When the people who rig the definition and the litmus test have a bias to begin with, it's not going to be proof positive for you when you come along testing whether race or bias exists. We don't have to impugn Mr. O'Mara's character and integrity to say that what you are talking about is on Mars and we're on Venus because of the very way you perceive this. It is distance, analogy and approximate truth. We have to often tell people who get defensive when we talk about race as an analogy. Let's make an analogy to terrorism. So, you know how you felt on 9/11? Yeah, that's how we feel when it comes to race. So now we get more approximate to the truth of what race is in this country. As for Eric Holder, look, the reality is you got to act now. The president, you won the second term. You’re in office. You are ensconced. Do something courageous, bold, and helpful. Not only to African American people, but to America. Because unless we do this, white Americans and others will feel that this was a justifiable verdict, this is how things happen. Not until, and unless, the number of white kids die that approximate the numbers of black and other kids who die, will America see. It’s beyond logic; it’s about rationality. It’s about let’s get something done. I think the attorney general will look at this and I think it’s time for him to act. Tavis Smiley: "You Can Stand Your Ground, Unless You're A Black Man"